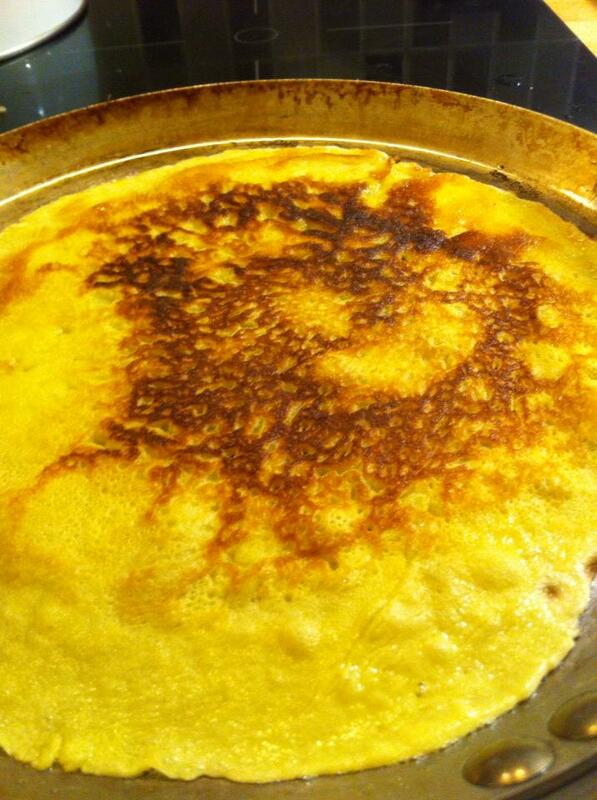 Saffron pancake is something I do now and then. I wish my wallet would be a bit bigger so I could use saffron a lot more. Likes to vary pancake bit every now and then. Prefer them thin over the american pancakes, but they are good and tasty as well. Mix half of the milk with the flour, salt, saffron and eggs. Whisk until smooth. Add remaining milk. Let stand one hour. Heat the frying pan and add in a dollop of butter. Turn in a little batter and rotate pan so batter covers the whole frying surface. Fry until one side golden. Turn over and fry the other side golden brown. Continue until all the batter is out. Eaten with berries, jam, cream and ice cream. I also enjoy using saffron in cooking and I like pancakes. This is a lovely combination!